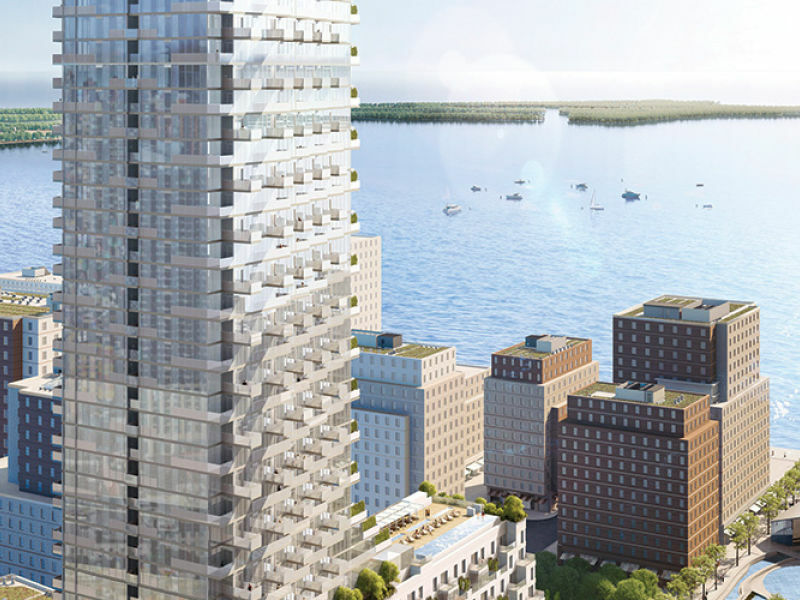 The east side of Toronto is currently one of the busiest areas for new condo construction in the city: over a dozen projects are reshaping the area’s skyline. 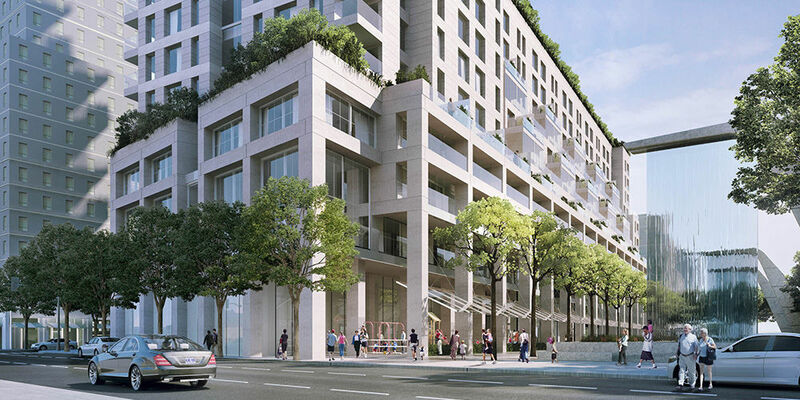 One project in particular is using new technology for the construction of concrete buildings: Monde by Tucker Hirise. With 45 condo levels and 5 levels of underground parking, Monde is among the giants that are growing in the east. This unique project was designed by Read Jones Christoffersen Consulting Engineers and uses Peikko shear rail. Kumbo Mwanang’onze from RJC Consulting Engineers is the head structural engineer for Monde. ‘’The underground parking proved to be a challenge due to the earth pressure applying high shear forces on foundation walls’’ he explains. ‘’Earth density is usually 2000 kg per cubic meter. In the presence of ground water, the pressure on foundation walls rises considerably, increasing the shear force on walls at either side of the slabs ’’ points out Mwanang’onze. 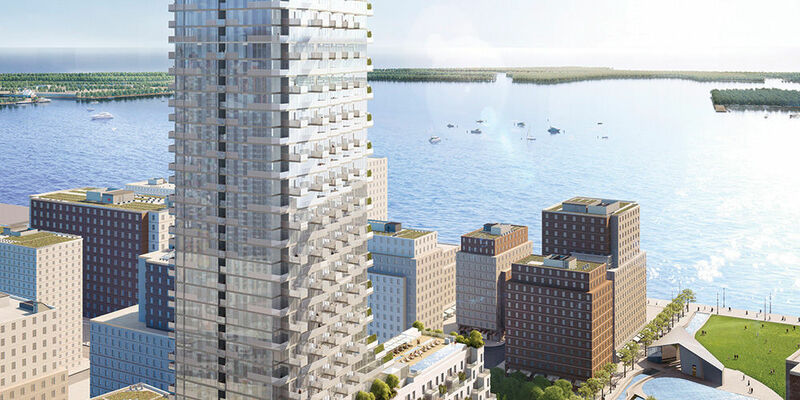 Because this site is located directly adjacent to Lake Ontario, the walls are designed on the assumption of the water-table being at ground surface. 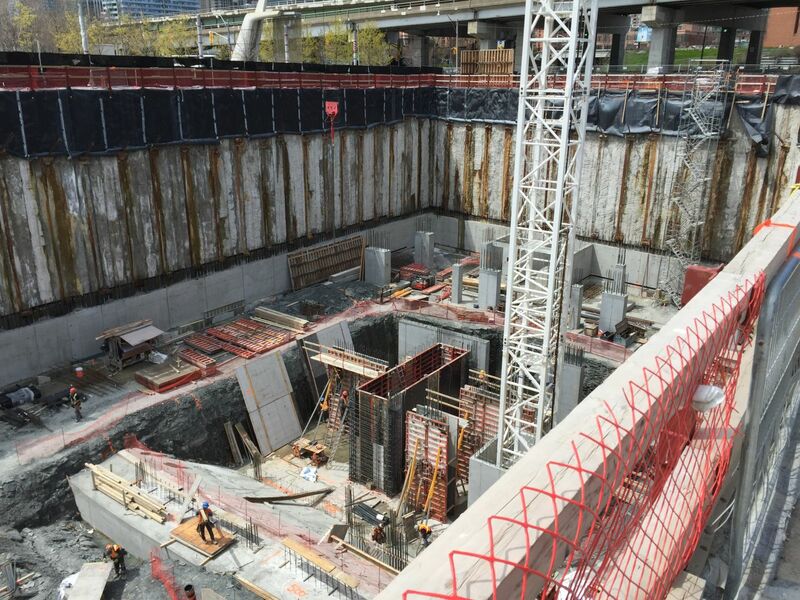 For a 5 storey underground structure, this pressure creates high shear forces on both sides of each suspended slab. Easy to install shear rails were specifically designed to resist these shear forces. ‘’Installing shear rails in our foundation walls is a simple procedure’’ says Maria Duzlevska Ilieva, site superintendent for Monde. The shear rails are installed in two steps: as one worker hangs each rail onto the wall reinforcement, a second worker ties it in position. ‘’Shear rails are installed at the rate of 30 rails per hour on average’’ explains Maria. Other options to deal with shear forces such as stirrups require more time to install. oq = 12 kPa vertical surcharge load at the surface. We would like to extend a special thanks to Kumbo Mwanang’onze who helped us write this article.